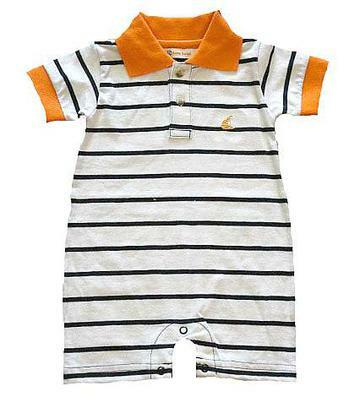 Polos on baby boys are adorable! 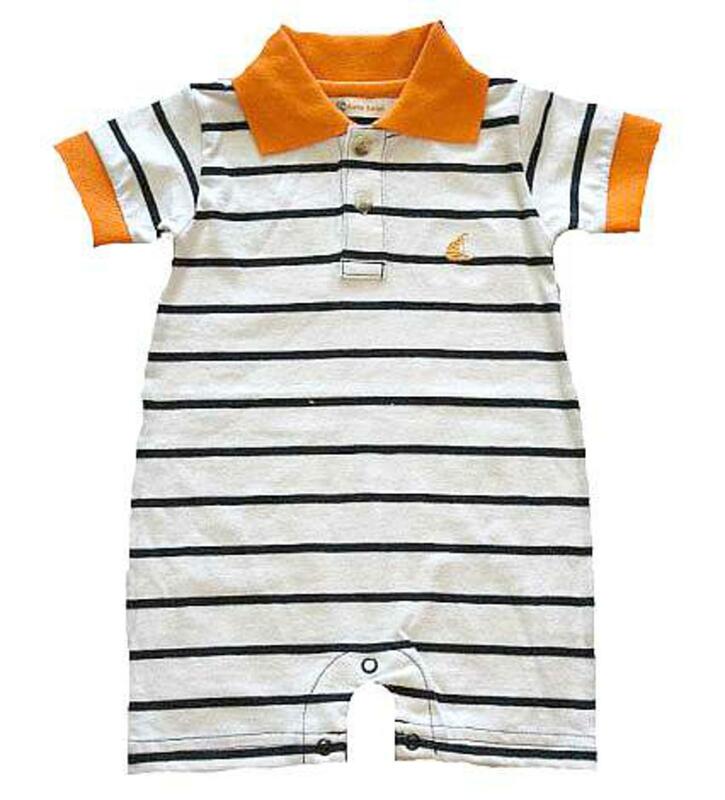 The navy and white stripe romper polo has a orange collar and trim on sleeves. There is two buttons down the front of the shirt to get over a childs head easily and a small sailboat applique on the left chest. The snaps on the inside of the legs accomodate diaper changes and this super soft outfit is 100% cotton.